As Chief Strategist of Veris Group, Dave works closely with government and industry clients to bring secure cloud technologies to market. 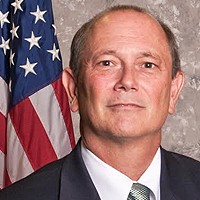 Dave served as the Associate Administrator of the U.S. General Services Administration – GSA – Office of Citizen Services and Innovative Technologies, including the FedRAMP program. His career spans nearly three decades, including Managing VP for Gartner Inc.’s government research team and serving as the Director of IT Management for the U.S. Government Accountability Office – GAO.